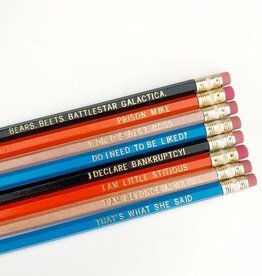 Set of 8 pencils with quotes from The Office! 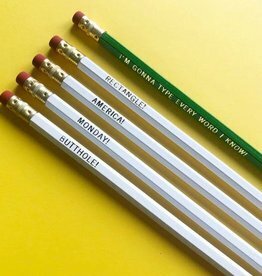 Set of 5 hex pencils with the list of words Ron Swanson types on his typewriter. 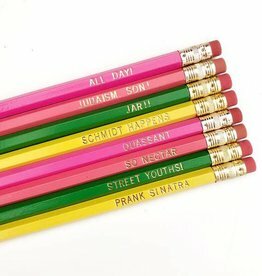 Set of 8 hex pencils. 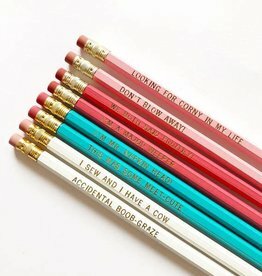 Set of 8 pencils with quotes from Friends! 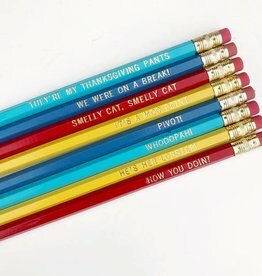 Set of 8 pencils with quotes from New Girl!